What are my people doing? 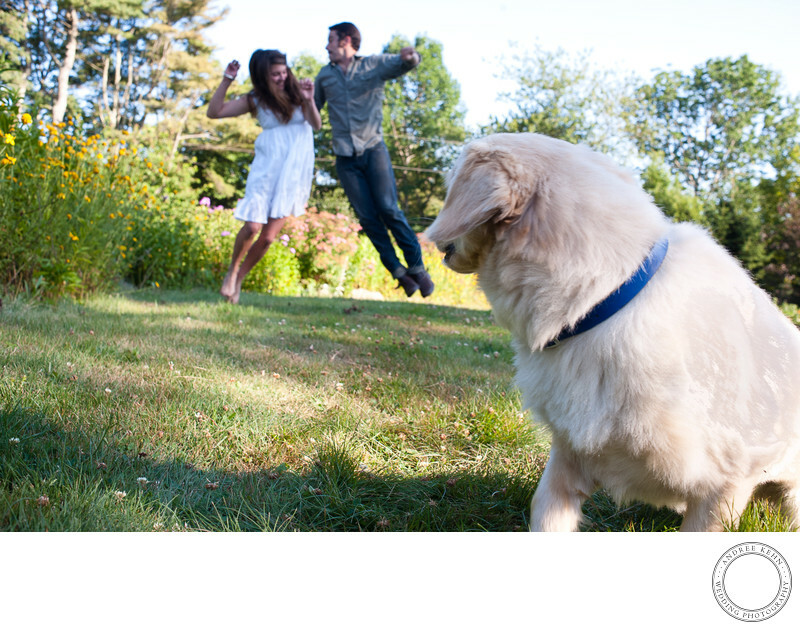 The dog leads your eye into the image and the surprising moment is in the background, out of focus. a fun quirky engagement photo.